Get the perfect glowing complexion with the Diana Absolute Stay Foundation Tube . 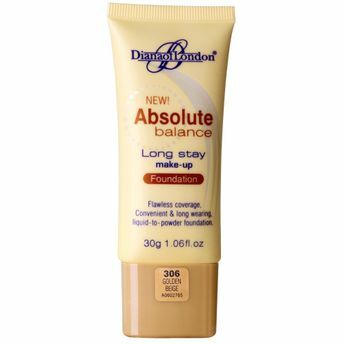 This ultra-light, smooth foundation gives you a even skin tone by hiding imperfections and fine lines. The long-lasting formula stays put for over 10 hours, allowing you to skip touch-ups. It also moisturizes your skin, leaving it soft and smooth. Hides imperfection and fine lines. Lasts for over 10 hours. Imparts a healthy glow to your skin. Additional Information: Being one of the most popular brands in the cosmetic world, Diana Of London offers high quality products. It is one of the top consumers chosen makeup brand owing to product quality and price range. Highly popular among the women all over the world, Diana Of London strives to make every woman smile and feel beautiful. Explore the entire range of Foundation available on Nykaa. Shop more Diana Of London products here.You can browse through the complete world of Diana Of London Foundation .Alternatively, you can also find many more products from the Diana Of London Absolute Stay Foundation Tube range.